When a developer works on a soon-to-be blockbuster game, there's more to focus on than just the game itself. While not so long ago a simple game announcements was pretty much all the gamers got before the game was launched, things have dramatically changed, with game websites being created months before the game is actually released. Game websites are the perfect marketing tools, allowing the developers to give the gamers a short glimpse of what's to come and to keep them updated. Since a game website is the first encounter with the world the game will be set in, it is important to get it just right. This article will discuss the top 5 game websites of 2014. Watch Dogs (sometimes presented as WATCH_DOGS) is a highly-anticipated open-world action video game that follows the story of a hacker that manages to obtain control of a city that's basically controlled by a computer system. Transportation means, traffic lights or communications – all are at the fingertips of Aiden Pearce, the hacker you play as, allowing you to use anything and anyone to accomplish the missions. The game website easily transposes you into the world of the game right from the start, coming with an interface that's simple enough to navigate through, yet contains elements you usually see in the hacking scenes of a movie. Teasers, information about the game as well as social media integration is also present, allowing you to easily find more information about the game, which will only make you more eager to play it. The Last of Us places you into post-apocalyptic scenery of the United States, playing as a Joel, a brave survivor that's struggling to make a living in the devastated world. When tasked with the quest of delivering Ellie, a fourteen-year-old girl, to a safer place, Joel embarks on a mission that will prove to be a lot more challenging than he could have anticipated. The game's website provides a lot of information regarding to elements of the game, the story and the characters, seasoned with a lot of in-game images that are guaranteed to get you attention. The Halo Waypoint website is the go-to place for all the Halo games. With a theme that mimics the interface you may already be familiar with form the game, the website is divided into separate sections for easier navigation. You are able to find the latest news right on the first page, while information about each game is conveniently reachable via the top menu. The website also integrates a community section and an online store, allowing you to discover, explore and buy the game – all in one place. Plants vs. Zombies may not be as interesting as the previous games, but it is one of the most popular games of the moment for the mobile platforms, so a good website was in must-have, and that's exactly what it got. Unlike the other sites, this game's website is simple and colorful, containing a playable version of the game right on the front page, along with download links for the mobile version. Additional information about the game and other games are available via the top menu. If you're wondering what brought this website into our top, the answer is simple: it is simple, functional and to the point. 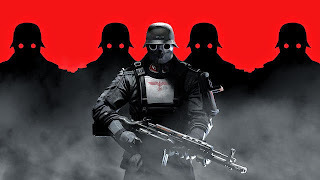 If you're a fan of first-person shooter, chances are one of the first games you played was Wolfenstein. Now, more than 30 years after the first version was released, the game will be back, with Wolfenstein: The New Order. The website is quite simple and concise, providing some information about the game, along with some screenshots – enough to make you curious to see if they producers still got it, and place an order. Jason Phillips is the writer of this article and several other articles. He is an ordinary guy as others, but with extraordinary passion for technology and gadgets. Also in deep love with playing online games specially Parking Games 365. Hi,very nice and informative blog.thanks for sharing.